Let Connect Consultancy provide some additional support as and when you need it whilst you take care of business. Whether it is social media marketing, management or training or maybe some good quality content through blogging and copywriting to improve your profile. Tailored for your business and easy to implement. Flexible and affordable services with a practical emphasis. Copywriting for websites, newsletters, brochures, annual reports, email campaigns, Public Relations and blogging. 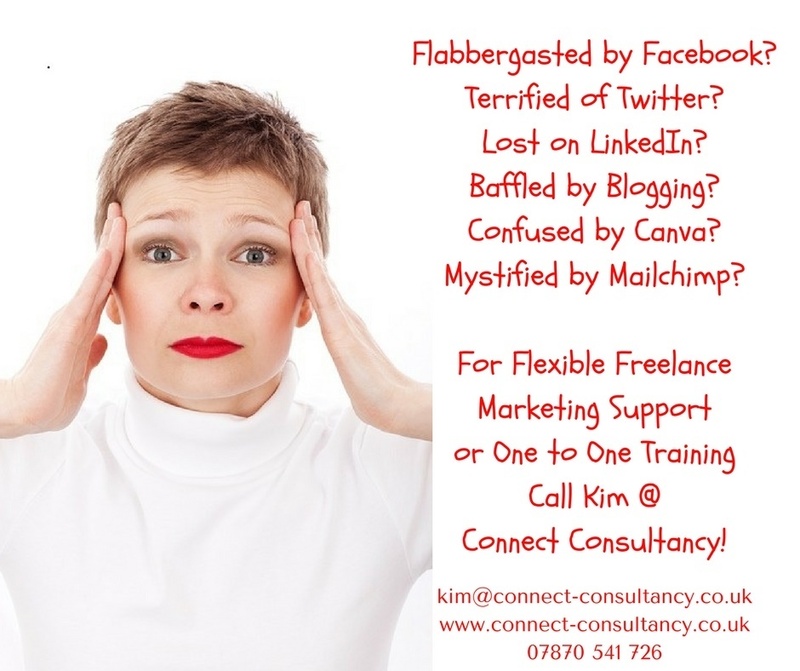 Helping you start, plan and develop content or real time management as well as one to one or group training on Social Media Overview, Twitter, Facebook, LinkedIn, Canva and Blogging for Business. Scoping, costing and managing new projects and events. Grant applications applying for Awards. Short term support when you need it. Get in touch today for a no obligation quote.